Wow! I just had a blast from the past. i was digging through my hard drive and stumbled on two theses two pictures. 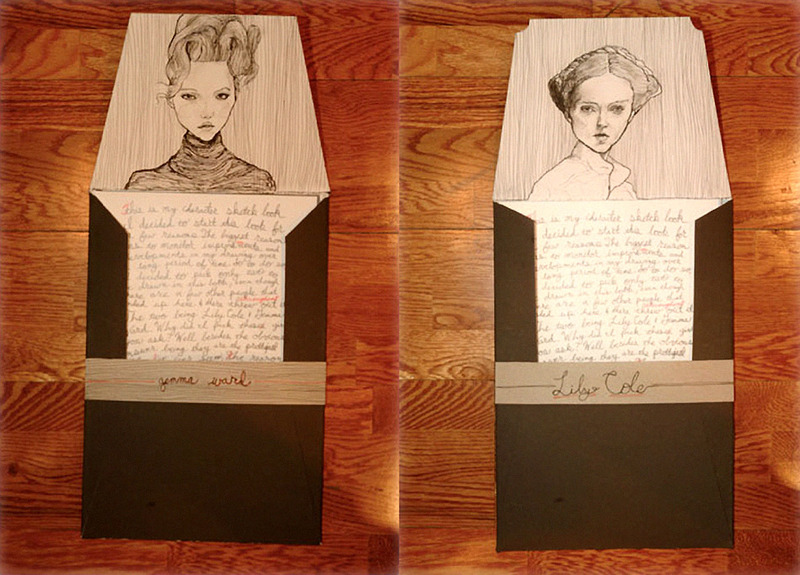 They are of the drawings i mailed over a year ago to IMG Models for Lily Cole and Gemma Ward. I had custom made the envelopes and drew those two pictures on the inside flaps. i don’t know. i thought it would be a fun thing to post, considering everything that has happened since then. Just think, if i hadn’t shipped those envelopes, i might not have become friends with my good friend Sophie Ward Wow! It’s always so trippy looking back and seeing how events start little chain reactions. Well, hope you all are having a great Friday!